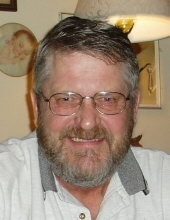 Randy C. McCracken, 66, of 8 Davidson Ave., Greenville, PA, passed away following a period of failing health at 5:50 am on Wednesday, January 23, 2019 at Greystone Country Estates in Fredonia, PA. He was born in Greenville, PA on October 13, 1952 to the late, Dale S. and Beulah (Lauffer) McCracken. Randy was a 1970 Reynolds High School graduate, Greenville. He spent most of his working life as a welder at various locations including, Chicago Bridge & Iron Co., Greenville Steel Car Co., and most recently, Erie Strayer Co.
Randy was a member of the Crossroads Christian Fellowship Church in Greenville. He also participated in Early Risers and a men’s bible study group at Fresh Grounds Coffee House and Cafe, Greenville. Randy enjoyed the outdoors, hunting, and fishing in more recent years. His favorite hobby was leatherworking. Randy enjoyed sitting with friends and drinking coffee. He was a friend to many and a very loving husband and father. Randy is survived by his wife at home, Cynthia Beth (Spargo) McCracken. They were married on January 10, 1970. Also surviving are: one daughter, Devonne E. White, and her husband, Mark, of Greenville, PA; one son, Lee A. McCracken, and his wife, Abby Wright, of Takoma Park, MD; four grandchildren, Joshua A. White of Pittsburgh, PA, Jeremy M. White of Mount Vernon, OH, Rebecca C. McCracken of Takoma Park, MD, and Thomas S. McCracken of Takoma Park, MD; and father-in-law, Charles Spargo of Fredonia, PA. He also leaves behind his beloved cat "Dusti." In addition to his parents, he was preceded in death by his brother, Gregory S. McCracken, and mother-in-law, Caroline Spargo. Family and friends are invited to join the family for a reception and memorial at Randy's favorite place, Fresh Grounds Coffee House and Cafe, 172 Main Street, Greenville, PA on Sunday, February 3, 2019. Reception will be held from 1:00 PM - 3:00 PM, followed by memories and memorial beginning at 3:00 PM. A private inurnment will be held at Stevenson Cemetery, Greenville, PA, at a later date. Memorial contributions can be made to: Downtown Ministries, 172 Main St., Greenville, PA 16125. Messages of sympathy, stories, and photos can be shared at: www.osborne-williams.com. To send flowers or a remembrance gift to the family of Randy C. McCracken, please visit our Tribute Store. "Email Address" would like to share the life celebration of Randy C. McCracken. Click on the "link" to go to share a favorite memory or leave a condolence message for the family.